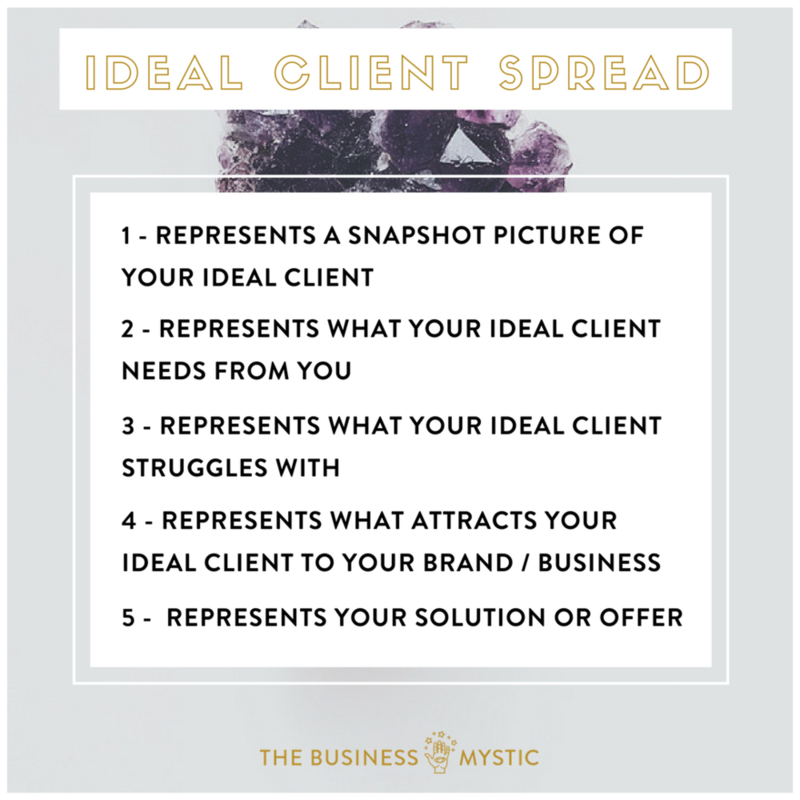 Gain insight on your dream customers with my Ideal Client card spread. It's the exact same spread that I use for my private clients in a pinch. It's beginner friendly and will help you begin your journey of replacing skepticism with mysticism. You can use tarot cards or oracle cards for this spread. You only need to pull 5 cards for this spread. 1. Try not to overthink it OR get frustrated. If something is not clear it's okay to throw down a clarifying card next to the card that isn't quite clicking for you. 2. Take your time when reading the interpretations of your card. It's okay to pull out your guide for interpretations. 3. Write down the answers you get in a notebook so you can keep track of the insight you get from your reading. Good luck and let me know in the comments how this worked for you.